Verbiers is situated in Switzerland, at an altitude of 1103m. It has preserved its authentic charm and offers chalets with slate roofs as well as a friendly welcome. It also offers 195km of trails which connect to the 4 Vallées, 400km of pistes altogether! It is the largest area in Switzerland where freeriders go and enjoy skiing. Apres-ski facilities include numerous places where warm wine is available! 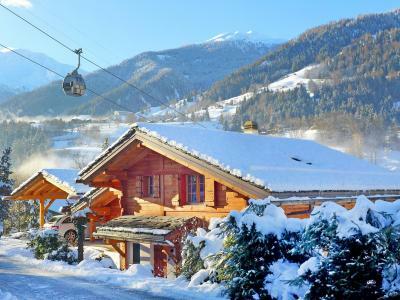 To help you get your stay to Verbier organized , book your accommodation , your skipasses and your ski equipment all together.